Arranging a treasure hunt requires some pre-planning, but the results are always so worth it! 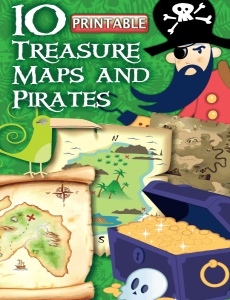 Just the word "treasure" bring some instant interest and excitement. You’ll want to divide your guests into teams. Find a way to do this division – drawing a number, counting off, or something that will mix up the crowd! Before the party, prepare a set of clues that ultimately lead to a prize. Each clue can be a riddle, poem, or problem to solve. You’ll want to tailor the clues to the age of your guests. For 5 year olds have clues that are pictures of what they need to find or where they need to go. Older children ideas could involve puzzles, rhymes, etc. And of course for teens or adults clues could include math problems, riddles or whatever you can dream up! Consider calling one team the blue team, another the red team, etc. Then make their clues all the color of the team. So the blue team would have blue envelopes/clues and the red team would have red envelopes/clues. You also might want to mix up the clues so that different teams follow clues in a different order (can help prevent a bottle-neck at a clue site). If you don't want to create your own treasure hunt, Click here to visit SimpliFun Studios to view what they have available. What would make the perfect treasure? How about the birthday cake? Add a treasure chest cake to your party! How about a pinata? It would be easy to make your own pinata to look like a treasure chest. The loot inside the pinata would be treasure, and also double as the party favor! Use your imagination and make your treasure, whatever you decide to hunt, something that is fun for everyone to share!